Make your home pop by adding this magnificent bar chair. This bar chair has a gorgeous Coco design, this consists of a curved padded seat alongside a solid wood frame. 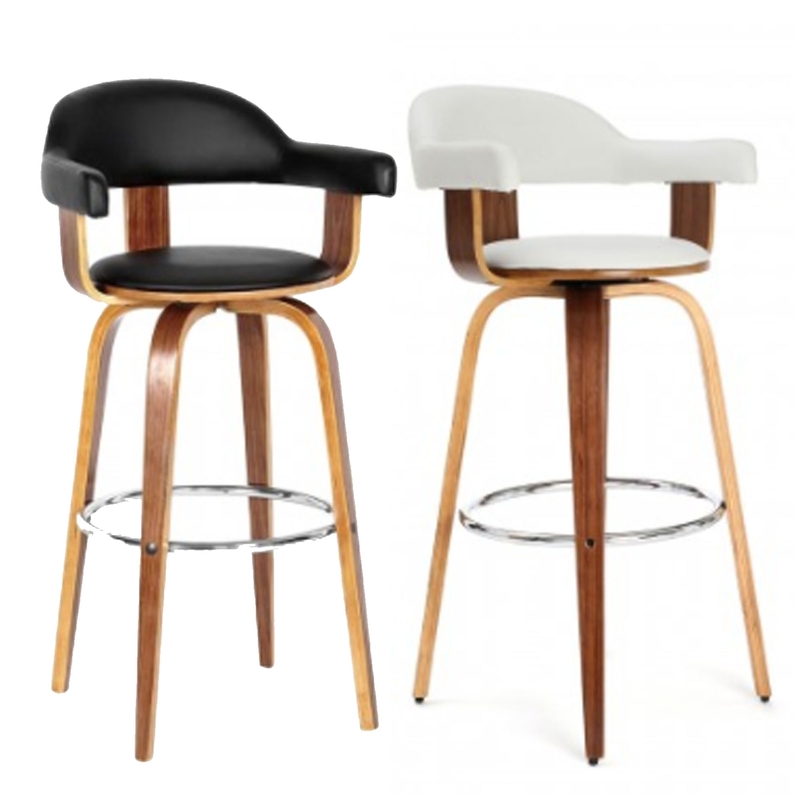 This solid wooden frame is given a walnut veneer finish, and the padded seats either come in a black or white colour.